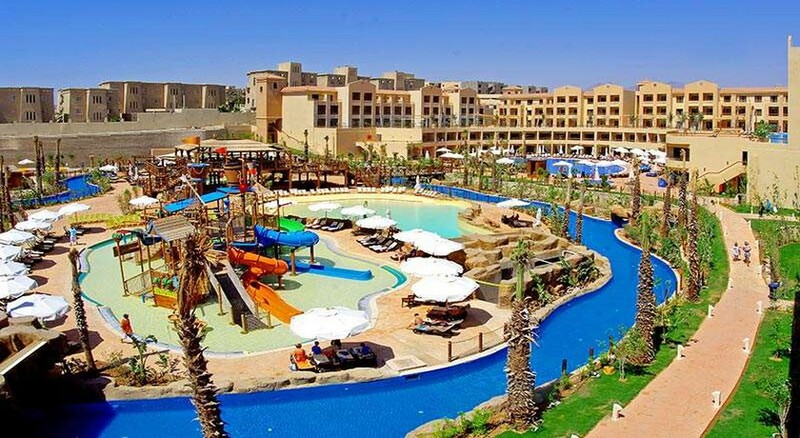 Coral Sea Aqua Club Resort, located in Sharm el Sheikh, is a stylish and fun-filled choice for the whole family. With its star attraction of a free, massive aqua park on site - Coral Sea Water World - endless hours of poolside fun are guaranteed at this hotel. If you want to relax then top up your tan at one of two stunning, freshwater pools, surrounded by spacious sunbed-dotted terraces. A modern, five-star resort, guests can choose from genrously appointed suites with all mod cons and a huge range of activities, restaurants and entertainment on site from sun up to sun down. Then, of course, you have the show stopping Egyptian coastline, scuba and snorkel sites ri8ght on your doorstep. With an adults and kids' pool, a shopping arcade, a beauty salon and fitness centre, free WiFi, and a beachside location, the Coral Sea Aqua Club Resort ticks every box for a great holiday on Egypt's majestic coast. Located in Nabq, Coral Sea Aqua Club Resort, water babies will adore this place. The resort is situated around 150 metres from the large golden sand beach where you can enjoy watersports, or a refreshing drink at the beachfront bars and cafes. 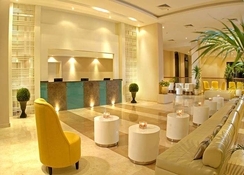 In addition there are bars and restaurants just two minutes away in the El-Khan and La Strada shopping areas. The distance to the harbour is about 40 km, Na'ama Bay (the city centre) is approximately 30 km, and the Old Market is 37 km from the hotel. Sharm El Sheikh International Airport is 14 km away. Coral Sea Aqua Club Resort features 212 rooms, which are divided into Standard Rooms, Family Rooms, Swim-up Rooms, Family Superior Rooms, and Family Suites. Standard facilities across the rooms and suites are air conditioning, telephone, en-suite shower and bath, hairdryer, WiFi internet, safe box, mini bar and stylish wooden furniture. Also each room has a balcony with views. 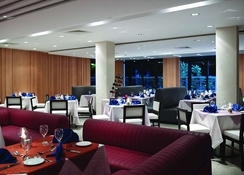 Restaurants at Coral Sea Aqua Club Resort serve a wide range of cuisines. Oishii serves breakfast, lunch and dinner in buffet style; American Diner serves a la carte American food; and Stonegrill serves scrumptious a la carte dishes. 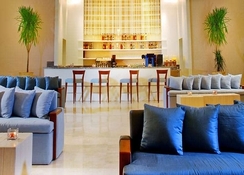 And, for drinks, it has a 24hr lobby bar that serves cocktails, hot drinks and more. There is a Sports Café with huge screens; a Poolside Bar that serves snacks, and alcoholic and non-alcoholic drinks; and an adults-only terrace café that serves a wide range of alcoholic drinks. The resort is a home to the most prestigious aqua park resort in the area. Suitable for people of all ages, the aqua park guarantees thrills with various exhilarating water slides like flowrider, boomerang, space bowl slide, wave pool, speed slides, inner tube, lazy river, tots’ slides and more. Or opt for a calm meander down the tranquil lazy river. The resort has multiple pools for both adults and children, surrounded by entertainment, parasols, loungers and landscaped gardens. And fitness lovers can burn of some calories at the fitness centre that offers a gym, jacuzzi, sauna, steam bath, and more.